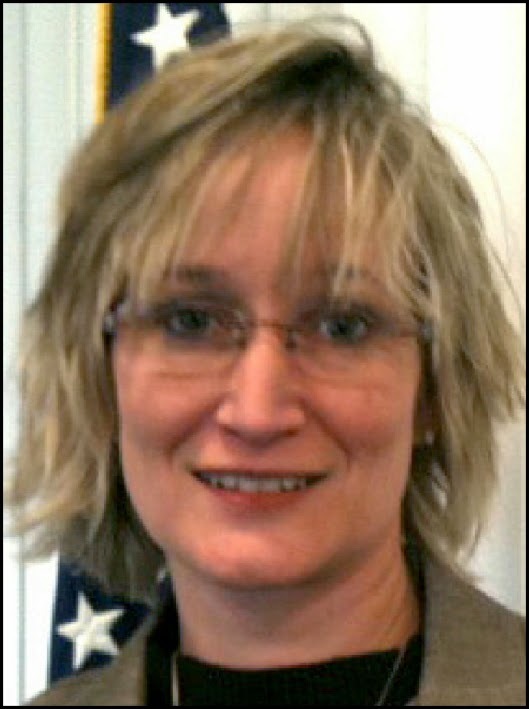 This week it was announced that Ms. Harrison had voluntarily resigned as Chief of Police of Wentzville. She and the City of Wentzville have settled out of court. Anyone familiar with these matters knows that the insurance carriers for public entities usually insist on settlements to make such nuisance law suits go away to save on protracted legal costs. Harrison's suit came about after she asked the St. Charles County Prosecutor to file criminal charges against certain police officers. The reason for her request was that she believed these officers had run the license plate number of a vehicle that belonged to a person she was dating and was parked outside her home. She claimed that the Mayor and several Aldermen were “conspiring” to spy on her. When the St. Charles County Prosecuting Attorney informed her that no crime had been committed to justify pressing charges, she retaliated by filing suit. Harrison’s barrage of lawsuits targeted eight others besides the St. Charles County Prosecuting Attorney including the City of Wentzville, the City of St. Charles, the Wentzville's Mayor, and several of Wentzville's aldermen. Did we leave anybody out? In response to the suit, Republican St. Charles County Prosecuting Attorney Tim Lohmar was quoted in the St. Louis Post Dispatch as saying, "this is an absolute abuse of the legal system." All of the named defendants in the suit deny any and all allegations of wrongdoing. Although only the suits with the City of Wentzville and Wentzville’s officials was settled, we feel certain that the remaining defendants will have little trouble in defending themselves against these revenge-fueled frivolous law suits. While the law suit itself is frivolous, it gives the City of Wentzville an opportunity to learn an important lesson. Due to a law that was passed a few years ago at the urging of the Missouri Police Chiefs Association, it is nearly impossible for a City to ever fire a police chief. This type of "bureaucrat protection law" gives ineffective or bad police chiefs the leverage to say if you want me to leave you will have to pay me to go. This state law needs to be changed. In addition to this, the City needs to look to the metropolitan region for a new Chief of Police rather than another nationwide search. People who know our county, know our people, and have a positive reputation with other law enforcement agencies are the best candidates for this position. Initial indications are that message will resonate this time around with those at City Hall. Knightfox Paradox is my alias. I work for a self created group called The Paradox Core that helps people in need or in trouble. I live in Wentzville and patrol regularly. I seek to create a lawful presence in high crime rate areas, and help the homeless legally. I believe it is a civic duty of the people with or without a gimmick like mine to be involved with your community. It is an extreme lifestyle and not to be treaded lightely. I have proir military training, and I'm a nerd at heart. My job is to indirectly help augment our police force by these kind acts or reports. The biggest legal battle that I have is patrolling without patrolling. Due to the laws that deal with neighborhood watches limiting my presence without stepping on legal red tape. I post regularly on Facebook about my patrols. If you are interested in an interview for an article. Please call me at 530-475-2112. This article doesn't answer one of the most important questions regarding the entire situation. Is there proof that the mayor and or alderman asked that information be found regarding who the chief was dating? It says there is denial. But it doesn't say if the act was committed. My understanding is that a local officer admitted he "staked out" the chief's home and ran plates on vehicles at her house in efforts to discover who she was dating. If this is true, then you've got a problem with which to deal. I agree. This article says "revenge fueled" which leads us to believe there was wrong doing on the part of the defendants. I appreciate this woman standing up to harassment regardless where it comes from. Wentzville really needs to do some house cleaning regarding these people. Many of us are sick of the double standard shown to political figures. Funny, I don't see anyone's name on the Blog other than the accused. If you are so sure of your subject please be proud enough to put your name on it. After reading this tripe I am inclined to vote the exact opposite of your leaning. I think you must be cowards with no proof to your statements. Please do not send this garbage to my home any more. I wish there was a FIRE button I could push... FIRE the MAYOR and his crony flollow the leader Aldermen.They are a disgrace and costing us the citizens money daily! What a waste of time and money! i wish there was a LIKE button also..i would give you the thumbs up! Why did Judge Michael Carter remove the previous factual statements posted above. Why hide? If this blog is not bias, then why do they keep removing the post above that give the dollar amount of the settlement? I have been a Wentzville area resident for 16+ years now. The population was about 5000 when we move here. The police department use to be "public servants" to protect and to serve. Somewhere in the population boom, the people got lost- I imagine, just like the post of the $ amount of the settlement. I miss the time-10 years ago- when a police officer stayed with my son in the ambulance and hospital after an automobile accident, because she knew i was out of town. Those days are long gone. We do have a voice, it is called a vote, but I don't think it applies to appointed officials; like the Chief, but it does apply to Judges. Agree with all of the above... where there's smoke, there's fire. The politics are running rampant in Wentzville. I really think it is great to have another news source in Wentzville. I don't care what anyone thinks about each publication. NewsTime, Community News, Wentzvillian, New Wentzvillian, 70 West Sentinel, etc. I'm just glad to see some local information available. I think I can make my way through it and separate fact from fiction. Thank You to every single person that has anything to do with bringing us these additional news sources. Let me state, for the record, I am NOT a resident of Wentzville. Having stated that, you must understand that the laws governing a "hostile work environment" were designed by lawyers to enrich those very same lawyers. Truth and honesty in these cases get lost, aka trashed, by those who choose to manipulate the law. As an example, the former chief's attorney chose STATE court and using the MHRC, Missouri Human Rights Commission, for their venue. Why you may ask? Federal, EEOC, lawsuits have liability limits. In Missouri no such limits exist. I have worked on settlement of two such lawsuits, one in each venue. In both cases the insurance carrier made the choice to settle rather than fight. Municipalities have little choice but to accept such decisions. Wow 900 votes for Dominic for judge. No signs, planted there to run, no appearances. Says a lot about how Wentzville feels about Carter.